Extraordinarily comfortable Peep Toe Ankle Boot made from all natural materials and dyes. Very soft goat suede upper, organic calf leather inner, gold calf nappa leather border. 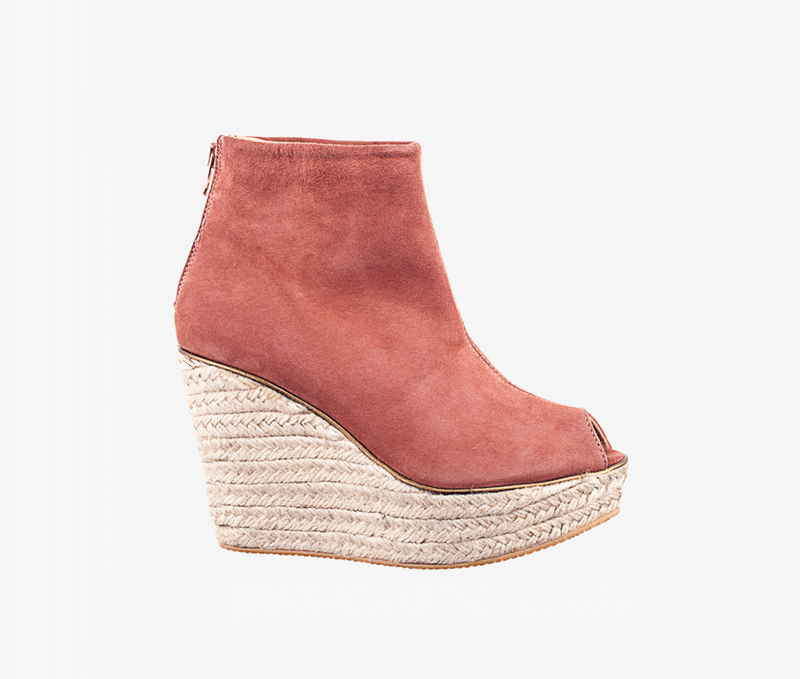 Peep toe, jute wedge heel.ITALIENISCHES ZIEGENWILDLEDER.